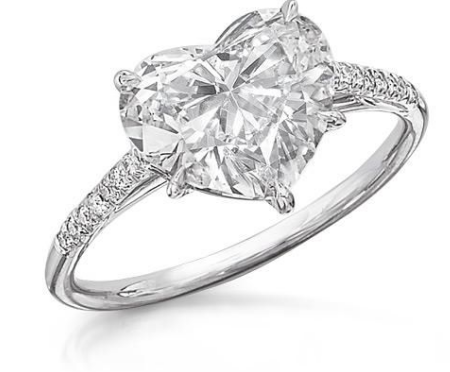 From Lady Gaga to Nicki Manaj to Gwen Stefani, heart shaped engagement rings have certainly found their moment in the spotlight among celebrities over the past decade. Although not quite as popular as round or princess-cut diamonds, the heart-shaped has certainly become a trend once more after spending nearly three decades in the shadow of its fancy-shaped counterparts. The relatively recent rise of this unique cut – not unlike marquise and pear-shaped stones – might be attributed to the desire for a more unique engagement ring at a more desirable price point. Interestingly, the heart-shape design concept was first developed by the Duke of Milan in 1463. About a century later, the infamous Mary, Queen of Scots, gifted Queen Elizabeth I a gold ring set with a heart-cut diamond, despite their rivalry for the English throne. 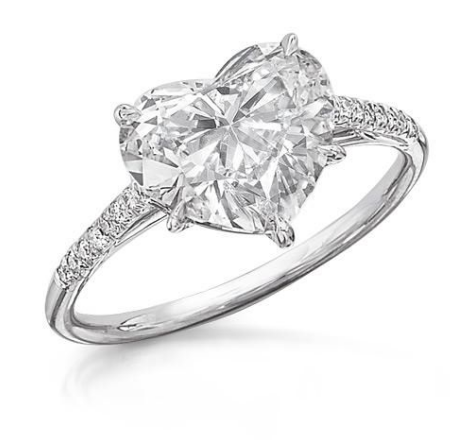 The rumor garnered the distinctive diamond shape its newfound status as a “royal” cut. It can be difficult trying to decide the right diamond shape for you, but the GIA-trained specialists at Jewelry-N-Loan are available to assist you with all your jewelry and engagement ring needs. In addition to offering a vast inventory at “dealer prices” often reserved for those in the trade, JNL also makes collateral loans, purchases and sells fine gold and diamond jewelry and loose stones, and has an expert jewelers on staff. Please call 949-645-0488 or email info@jewelrynloan.com today for more information!